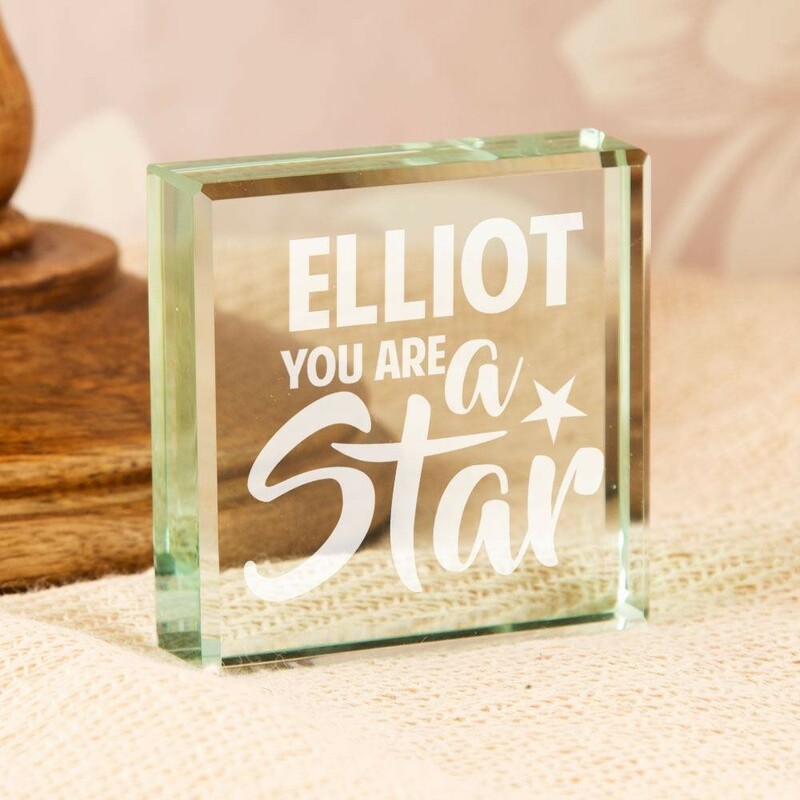 We think this decorative glass block is the perfect gift to give someone special on any occasion. It is laser engraved in house and reads “You Are A Star” after the recipient's name. The bold, typographic design will stand out wherever it is displayed, and the glass has a natural jade tint in some lights. 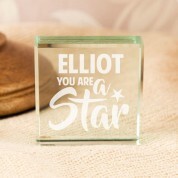 We think it would make an extra special birthday, Christmas or congratulatory gift. It would also be perfect for someone who has just Graduated. 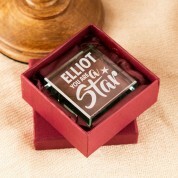 When its not in display it can be tucked away in its classy silk lined maroon box.